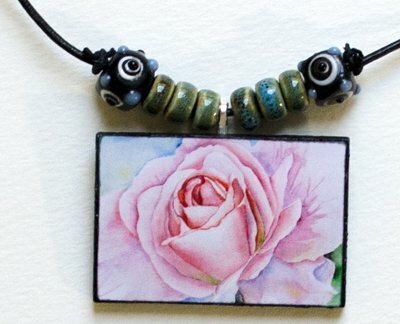 This art pink rose leather necklace is truly a pleasure to wear. Wood pendant mounted with a high-quality flower art print of original floral watercolor painting by California artist Fei Liu. A great valentine gift idea for someone who loves art and roses. Made in USA.